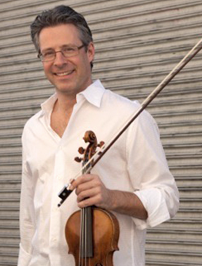 Lorenz Gamma is professor of violin at California State University Northridge and has previously taught at University of California Los Angeles [UCLA], Indiana University in Bloomington and California Institute of the Arts. He is internationally active as soloist, recitalist, chamber musician and teacher, and gives frequent master classes in the United States, Europe and Asia. His private and professional violin students have won top prizes at numerous solo and chamber music competitions and regularly go on to continue their studies at such institutions as the Juilliard School, Indiana University, the Manhattan and Eastman Schools of Music, the Cleveland Institute of Music, University of Southern California and the Colburn School. Having performed internationally a string quartet repertoire of over sixty composers, as well as a large part of the standard chamber music repertoire of over eighty composers, Mr. Gamma also dedicates himself enthusiastically to coaching chamber music. As former co-leader of the Amar Quartet in Switzerland, Mr. Gamma performed a full-time concert schedule touring through many of Europe’s most important chamber music venues, including the Tonhalle in Zurich, the Victoria Hall in Geneva, the Residence in Munich, the Cologne Philharmonic, as well as venues in many other cities such as London, Paris, New York etc. For ten years, Lorenz Gamma served as first violinist of the Los Angeles based group Southwest Chamber Music. The ensemble’s recordings of the complete chamber music works of Carlos Chávez have been nominated for six Grammy Awards, winning two in 2004 and 2005. Mr. Gamma has also served as concertmaster of the Northwest Sinfonietta in Seattle, and later as Principal of the Zurich Opera Orchestra. As a soloist Lorenz Gamma has performed over twenty different concertos by Bach, Beethoven, Berg, Brahms, Bruch, Gubaidulina, Lutoslawski, Mozart, Mendelssohn, Piazzolla, Rubinstein, Schnittke, Schumann, Spohr, Tartini, Vivaldi, and Wieniawski. He also holds an extensive record of appearances on radio, both in Europe and in the United States. His radio broadcasts and CD recordings include Schubert’s String Quintet and Piano Trio in E-flat, the “Quartet for the End of Time” by Messiæn, the complete String Quartets as well as works for violin and piano and the Piano Sextet by Carlos Chávez, the Dvorák Piano Quintet, Mozart Clarinet Quintet, sonatas and partitas by Bach, Kodály, Lazarof, Mozart and Ravel, as well as string quartets by Brahms, Debussy, Dvorák, Haydn, Hindemith, Ives, Janácek, Mozart, Ortiz, Ravel, Shostakovich, Ullmann, Verdi and Wadada Leo Smith. Chamber musicians he has collaborated with include Heinz Holliger, Paul Katz, Ronald Leonard, Donald McInnes, Joseph Silverstein, Tsuyoshi Tsutsumi and many others. Composers that Mr. Gamma has been in collaboration with include Miguel del Aguila, Adrienne Albert, John Adams, Mark Applebaum, Alexandra du Bois, Thüring Bräm, Elliot Carter, Nancy Bloomer Deussen, Sofia Gubaidulina, Yalil Guerra, Heinz Holliger, Andrei Kasparov, Rudolf Kelterborn, Peter Knell, Panayiotis Kokoras, Ian Krouse, Christian Lauba, Henri Lazarof, Tomás Marco, Margaret Meier, Mark Menzies, Thea Musgrave, Maria Newman, Gabriela Ortiz, Robert Paterson, Deon Nielsen Price, Kurt Rhode, Thomas Daniel Schlee, Patricio da Silva, Wadada Leo Smith, Chrysanthe Tan, Vu Nhat Tan, Pham Minh Tang, Ton That Tiet, Stephen Westerhout and Gernot Wolfgang. Lorenz Gamma was born in Switzerland, where he received his initial training as a violinist at the conservatory in Lucerne. His further studies took place in the United States, with Franco Gulli, Steven Staryk and Mark Kaplan. Joan Kwuon, whom the New York Times describes as “fiery, intensely musical and impassioned,” made her Tanglewood Music Festival concerto debut at the invitation of Sir André Previn in 2000 and her recital debut at Lincoln Center’s Alice Tully Hall the following season. She has since appeared with leading orchestras of North America, Europe and Asia and in recital and chamber music internationally. Celebrating Mozart’s 250th birthday, Ms. Kwuon toured the United States performing Mozart Violin Concerti with the Royal Philharmonic Orchestra conducted by Charles Dutoit and Matthias Bamert. She performed the Sibelius Violin Concerto with the London Symphony Orchestra and André Previn in Cardiff, Wales and with Maestro Previn and the Prometheus Chamber Orchestra at Carnegie Hall performing Mozart Violin Concerto No. 3. She also appeared with the BBC Nation al Orchestra of Wales, NHK Symphony Orchestra of Tokyo, Seattle Symphony, Buffalo Philharmonic, Bulgarian National Academic Orchestra, Jyväskylä Sinfonia of Finland, Moscow State Radio Symphony, Orchestra Europa, Busan Philharmonic, State Symphony Orchestra of Mexico, Louisiana Philharmonic, Amarillo Symphony, Santa Barbara Chamber Orchestra and International Sejong Soloists. Joan Kwuon made her Metropolitan Museum recital debut in 2006 and in 2008 returned to the Metropolitan Museum with pianist, André Previn in Sonata Recital. She also has enjoyed collaborations with Cho-Liang Lin, Jaime Laredo, Sharon Robinson, the Juilliard String Quartet, Bright Sheng, Heidi Grant Murphy, Cecile Licad, Vladimir Feltsman and Tony Bennett with whom Ms. Kwuon has performed in duet at Jazz Lincoln Center, Tanglewood and most recently at the MusiCares Grammy Awards Gala. Acclaimed for his elegant, yet passionate and powerful performances, beautiful tone, and extraordinary technical execution, violinist Bùi Công Duy, winner of the First Prize and Gold Medal at the 3rd International Tchaikovsky Competition for Young Musicians (1997), is a musician with a growing international career as a soloist and pedagogue. Mr. Duy has appeared as a soloist with orchestras worldwide including the Novosibirsk Philharmonic, Samara Philharmonic, Ịjhevsk Philharmonic, Saint-Petersburg Kapella Philharmonic, Moscow Philharmonic, Berliner Symphoniker, Trondheim Solisten, London Festival Orchestra, Brno Symphony Orchestra, Philippines Philharmonic Orchestra, Busan Philharmonic Orchestra, Ho Chi Minh Symphony Orchestra, Hanoi Philharmonic Orchestra, and Vietnam National Symphony Orchestra. He has made concert tours in Italy, France, Germany, Switzerland, Macedonia, Poland, England, Croatia, Russia, Denmark, Norway, Malaysia, the Philippines, China, Japan, South Korea, and Vietnam. He has been a featured soloist in many prestigious concert series and events such as “Concert in Berlin Philharmornie” with the Berliner Symphoniker, a “New Year’s Concert Tour” with the Trondheim Solisten, a concert tour at La Fenice in Venice, Teatro del Maggio in Florence, at the Italian President Palace in Rome, a “Mobifone Series Concert” with the Berliner Symphoniker, a concert tour in Denmark, at the Asian Orchestra Week in Tokyo and Osaka, at the Beethoven Festival in Bonn, at the “Toyota Classic” events, a gala concert at the Bolshoi Zal, at the Festival in Samara, at Sony’s “Blue Sky,” and a gala concert in St. Petersburg. Aside from the Tchaikovsky Competition, Mr. Duy’s competition successes include the First Prize at the Zakhar Bron International Violin Competition in Novosibirsk, Russia (1995), the First Prize at the Demidov International Violin Competition in Ekaterinburg, Russia (1993), and the First Prize at the Vietnamese National Music Competition “Autumn” in Hanoi (1990). 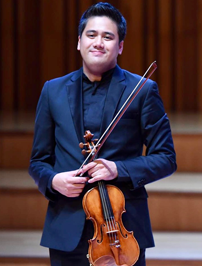 Mr. Duy has served as a jury member of the Tchaikovsky International Competition for Young Musicians in Astana (Kazakhstan) in 2017, in Moscow in 2014, of the 6th International Violin Competition in Kazakhstan in 2016, of the 42nd Demidov International Violin Competition in Ekaterinburg in 2009, and of the Vietnamese National Music Competition “Autumn” in 2007. At present, Dr. Bùi Công Duy is Deputy Rector for Concert Activities at the Vietnam National Academy of Music. He has been Artistic Director of the Vietnam Classical Players and Executive Director of the Vietnam Connection Music Festival since 2015. An artist defined by the critics as “…tender, lyrical, loaded with personality” (Atlanta Journal Constitution, Pierre Ruhe), violist Juan-Miguel Hernandez is also recognized for drawing “…the sweetest, most sonorous tone…” (Washington Post, Charles T. Downey). In September 2009, Juan-Miguel won the first Prize at the 16th International Johannes Brahms Competition, for which he is delighted to join as a juror for the 2017 edition, in Austria, adding to other top prizes won at the National Canadian Music Competition, and the 9th National Sphinx Competition in 2006, presented by J.P. Morgan Chase. As a featured guest soloist, Juan-Miguel has appeared with the Atlanta, Seattle, Colorado Symphonies, as well as the Rochester Philharmonic and the Chicago Sinfonietta. Performances in recent seasons have brought Juan-Miguel on tour throughout Europe, the Middle East, Asia, Africa, South America, Canada and the United States. In 2010, he was honored with the medal of the National Assembly of Quebec. Juan-Miguel has collaborated with distinguished artists such as Itzhak Perlman, Lynn Harrell, Kim Kashkashian, Gérard Caussé, Nicolas Dautricourt, Misha Dichter, the Weilerstein trio as well as Jazz living legends Chick Corea, Gary Burton, Stanley Clark and Paquito D’Rivera. Recent festival and program appearances as guest artist and teacher include the Festival Pablo Casal (Prades, France), the Festival Des Arcs (France), the Amalfi Coast Music Festival (Italy), Orford Academy (Canada), Stellenbosch International Chamber Music Festival (South Africa), the Salzburg Festival, the Brevard Summer Institute, the Mozaic Festival, Festicamara (Colombia), Montreal Jazz & Panama Jazz Festivals and Musica Mundi International Festival (Belgium). A dedicated chamber musician, Juan-Miguel is the newest member of the legendary Fine Arts Quartet and a founding member of the Harlem Quartet with whom he performed from 2006 to 2012. Juan-Miguel is also a founder and member of the “Trio Virado” (Flute, Viola, Guitar) as well as the “Boreal Trio” (Clarinet, Viola, Piano), both specializing in the creation of new repertoire. From 2005 to 2010, he was also an active member of the I Palpiti orchestra, a cast of international laureates forming a world class string orchestra based in Los Angeles. The 2017 summer season saw his return with the I Palpiti orchestra, this time as soloist, performing Mozart’s Sinfonia Concertante in Disney Hall (Los Angeles), and the Mozarteum’s Solitaire Hall (Salzburg). His strong commitment to educate and engage new audiences all around the globe have brought him to reach young musicians and various communities through art convoys in South Africa and Venezuela, various music festivals in South America and outreach projects in Europe and North America. In the Fall of 2016 Juan-Miguel was appointed to the faculty of the prestigious Royal Academy of Music (London) as Professor of Viola. Juan-Miguel Hernandez was born in Montreal, Canada in 1985 and began studying the violin at age seven, then switched to viola at age twelve under the tutelage of Jean McRae. He received his Bachelor degree from the Colburn Conservatory in 2010 studying with Paul Coletti and Graduate Diploma in the Professional String Quartet program in 2012 with Paul Katz at the New England Conservatory, working privately with Kim Kashkashian and Dimitri Murrath. He also worked with Pinchas Zukerman, Roberto Diaz, Paul Neubauer, Karen Tuttle, Steven Dann, James Dunham, Barbara Westphal and Robert Vernon. Juan-Miguel plays a beautiful 2008 Miralles viola from Altadena CA. Allison Eldredge gained national attention when, Conductor Daniel Barenboim, invited the Artist to make her debut with the Chicago Symphony Orchestra performing the Elgar Cello Concerto. The performances marked Daniel Barenboim’s first public performances of the Elgar Concerto since performing the work with his late wife, celebrated-cellist Jacqueline Du Pre, who had brought the Elgar Concerto to prominence. The artist performed on Jacqueline Du Pre’s 1972 Sergiu Peresson cello for the performances and was heralded as “a cellist afraid of nothing” by the Chicago Sun Times, and “a musician of remarkable gifts” by the Chicago Tribune. As soloist, Allison Eldredge has performed with many of the world’s leading orchestras, including the New York Philharmonic, Cleveland Orchestra, Chicago Symphony, Los Angeles Philharmonic, Academy of St. Marin-in-the-Fields and Royal Philharmonic in London, the Moscow Virtuosi, Berlin Symphony, Montreal Symphony, Royal Scottish National Orchestra, Warsaw Philharmonic, Budapest Symphony, Ukraine National State Symphony, Polish Radio Symphony and the Zurich Chamber Orchestra in Switzerland. 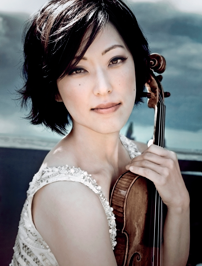 In Asia, she has appeared with the China National Symphony, Osaka Philharmonic and Tokyo Philharmonic, among others. Allison Eldredge has collaborated with such distinguished conductors as Daniel Barenboim, Zubin Mehta, Andre Previn, Charles Dutoit, Leonard Slatkin, Krzysztof Penderecki, Evgeni Svetlanov, Sergiu Commissiona, Joseph Silverstein, Keith Lockhart and Stanislaw Skrowacewski, among many others. An advocate for living composers, Ms. Eldredge has toured the U.S., Europe and the Middle East with composer Krzysztof Penderecki performing his Viola Concerto transcribed for cello and orchestra. In 2013, she performed his Concerto Grosso No. 1 for 3 Cellos as first cellist with the composer at the podium in Poland. In 2008, Strad Magazine reviewed “Eldredge’s high-voltage performance” in New York celebrating American composer Paul Schoenfield’s works with the composer present. She has collaborated with composers Leon Kirchner, Shigeaki Saegusa, Lukas Foss, Marc O’ Connor, Andy Vores and performed the works of many other living composers including Joan Tower, Bright Sheng, George Crumb and Ellen Taafe Zwillich. Allison Eldredge has released 7 solo albums including Saint-Saens and Lalo Concerti with the Royal Philharmonic and conductor Hans Vonk, a self-titled album of pieces for cello and piano for Canyon Classics, beloved Works of Chopin and Faure for cello and piano and the Elgar Concerto on Denon Records and Denon Essentials available on iTunes. She has served on the Faculty of Harvard University from 2008-2011 and is currently on the cello faculty of New England Conservatory Preparatory School. She maintains a private teaching studio in Boston and in Connecticut. She studied at the Pre-College and College of the Juilliard School. Her teachers have included Harvey Shapiro, Eleanore Schoenfeld, Felix Galimir, Ardyth Alton, Joan Lunde, Mstislav Rostropovich and Yo-Yo Ma. She lives in Boston with her two daughters. She plays on the 2015 “Eldredge” Zygmuntowicz and a 1740 Carlo Antonio Testore cello. 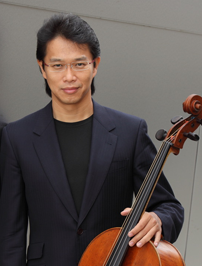 Cellist Ben Hong joined the Los Angeles Philharmonic in 1993 as Assistant Principal Cello, at age 24. He currently serves as Associate Principal Cello, appointed in 2015 by Music Director Gustavo Dudamel. Hong also performs frequently as soloist and as a member of chamber music ensembles and has collaborated with such artists as Emanuel Ax, Yefim Bronfman, Janine Jansen, Lang Lang, Sir Simon Rattle, and Esa-Pekka Salonen. His concerto appearances with the Los Angeles Philharmonic include the L.A. premiere of Tan Dun’s Crouching Tiger Concerto and the U.S. premiere of Mark-Anthony Turnage’s cello concerto Kai, with Simon Rattle conducting. In 2009, Hong was hired by DreamWorks Pictures to train several members of the cast of the movie The Soloist, including Jamie Foxx. In addition, he was the featured soloist on the soundtrack, which was released on the Deutsche Grammophon label. Born in Taipei, Taiwan, Hong won his native country’s National Cello Competition three years in a row before leaving home, at age 13, for the Juilliard School. Later he studied with Lynn Harrell at the University of Southern California School of Music before joining the Los Angeles Philharmonic. In 2012, Hong joined the faculty of USC’s Thornton School of Music as adjunct professor. In addition, he frequently presents clinics and master classes in the U.S. and abroad. Ben’s other interests include working on and riding his three sports motorcycles, bicycling, scuba diving, martial arts, and West African drumming. 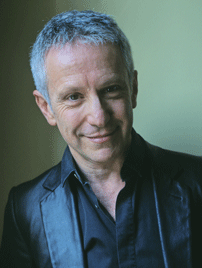 Jean-Louis Haguenauer has performed extensively throughout Europe and the United States. He has appeared as a soloist on virtually every important concert series in France and has performed often on Radio France and French national television. Haguenauer has also participated in numerous summer festivals in Europe and the U.S., including La Roque d’Anthéron, Radio-France Montpellier, Jacobins de Toulouse, Orangerie de Sceaux, les Arcs, Library of Congress Summer Chamber Festival, and Kreeger Museum June Chamber Festival. As a chamber musician, he has collaborated with the Fine Arts Quartet, Quatuor Ébène, Arriaga Quartet, the Percussions de Strasbourg, Ensemble Accoche-Notes; violinists Alexis Galpérine, Patrice Fontanarosa, Régis Pasquier and Joanna Maurer, violists Pierre-Henri Xuereb, Tasso Adamopoulos, Miles Hofmann and Arnaud Thorette; cellists Cecilia Tsan, Tsuyoshi Tsutsumi, Alberto Parrini and Xavier Gagnepain; flutists Patrick Gallois, Andras Adorjan, Sara Stern and Michel Moraguès; clarinetists Loren Kitt, Michel Arrignon, Philippe Cuper, Armand Angster and Michel Lethiec; bassoonist Pascal Gallois; and horn player Gail Williams, among many others. He is a founding member of the Galpérine-Tsan-Haguenauer Piano Trio, launched in Paris in 1988. From 1991 to 1997, he was a member of the Florence Gould Hall Chamber Players, and from 2003 to 2007, he was the pianist of the American Chamber Players. He has been concertizing with Tenor Gilles Ragon for 20 years, successfully exploring both French and German repertoire. Haguenauer graduated from the École Normale de Musique in Paris and the Geneva Conservatory, with Germaine Mounier, Louis Hiltbrand, and Jean Fassina as his principal mentors. In addition to his piano studies, he pursued composition and musical analysis with such luminaries as Nadia Boulanger and Henri Dutilleux. 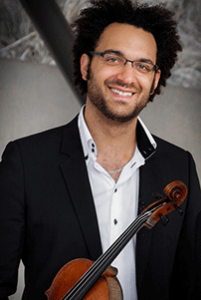 He is a Yehudi Menuhin Foundation Prize winner. Renowned as an interpreter of the French repertoire, Haguenauer’s recordings of the complete piano music of Debussy are in progress. He has also recorded solo repertoire by Liszt (transcriptions of the first two Beethoven symphonies) and chamber repertoire by Weber, Bloch, Ropartz, Stravinsky, and many others. A Beethoven and Schumann CD (An die ferne Geliebte, Dichterliebe, Fantasy Op.17), with the French tenor Gilles Ragon, was released in 2010 (Saphir). The first complete recording of Debussy’s melodies, the four-CD Claude Debussy: Melodies Integrale (Complete Songs), with some of the best French singers of our time, was released in 2014. The project was supported in part by a New Frontiers in Arts and Humanities grant. Haguenauer was the subject of the feature film La Spirale du Pianiste, which continues to be shown in theaters throughout France. Haguenauer has been a member of the piano faculty at the Jacobs School of Music of Indiana University, Bloomington (USA) since 1998 and previously was professor of piano at the Strasbourg Conservatory. 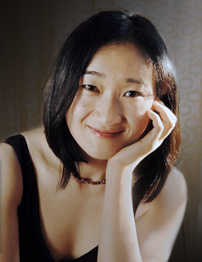 Pianist Ming Tsu is acclaimed for her imaginative and refined performances of both standard and contemporary repertoire. She has appeared on concert stages in the United States, Canada, Mexico, Europe, Asia, and her CD recordings and live performances have been broadcast on over fifty radio stations across the United States and in Europe. She has recorded numerous works, including the complete chamber music for piano and strings by Carlos Chávez as well as various chamber works by composers Miguel del Águila, Rebecca Clarke, William Kraft, Henri Lazarof, Maria Newman, Gabriela Ortiz and Chinary Ung. An avid performer of contemporary music, Ms. Tsu regularly premieres new works and has collaborated with a diverse range of composers including György Kurtág, Elliot Carter, Roger Reynolds, Chinary Ung, Morton Subotnick, Toshio Hosokawa, Wadada Leo Smith, Lei Liang, Miguel del Águila, Gabriela Ortiz, Javier Álvarez, Henri Lazarof, Maria Newman, Pham Minh Tang, Alexandra du Bois, Robert Paterson, Kurt Rhode, Karen Tanaka and Juhi Bansal. After having served for ten years as the pianist of Grammy Award-winning Southwest Chamber Music, Ms. Tsu is currently the pianist of trio FUGU, which she co-founded in 2012. Highlights of the current season include concert tours to Vietnam and Switzerland, as well as the recording of the original music for “SILA and the Gatekeeper of the Artic”, a documentary that was recently premiered at film festivals in London, Berlin, Solothurn, Montreal and Guadalajara. The trio’s upcoming CD features works by Rebecca Clarke, Miguel del Águila and Maria Newman and is due for release this fall. Passionately dedicated to education, Ms. Tsu enjoys a stellar reputation as a teacher in both piano and chamber music. Her musical insight and analytical approach to piano technique have helped countless students of all ages attain freedom on their instrument and develop greater depth in their artistic qualities. Many of Ms. Tsu’s students have achieved success in competitions and have gone on to prestigious music schools, and many also continued to become life-long hobby pianists. With her piano trio, trio FUGU, Ms. Tsu launched an international outreach project, Chamber Music Side by Side. The mission of this program is to ignite the collaborative spirit in young musicians and their communities across social and cultural borders, and for them to become mindful and engaged citizens of the world. Since spring of 2014, Chamber Music Side by Side has been held as a two-week long residency at the Vietnam National Academy of Music in Hanoi. Ms. Tsu is on the piano faculty at the California Institute of the Arts and the Pomona College. Pianist Max Levinson is known as an intelligent and sensitive artist with a fearless technique. Levinson’s career was launched when he won First Prize at the Guardian Dublin International Piano Competition, the first American to achieve this distinction. He received overwhelming critical acclaim for his two solo recordings on N2K Encoded Music, and was awarded the prestigious Avery Fisher Career Grant. Max Levinson has performed as soloist with the San Francisco Symphony, St. Louis Symphony, Los Angeles Philharmonic, Detroit Symphony, Baltimore Symphony, New World Symphony, Indianapolis Symphony, Colorado Symphony, Oregon Symphony, St. Paul Chamber Orchestra, Utah Symphony, Boston Pops, Los Angeles Chamber Orchestra, and National Symphony Orchestra of Ireland among others. He has worked with such conductors as Robert Spano, Neemi Järvi, Uriel Segal, Joseph Swensen, Jeffrey Kahane and Alasdair Neale and has collaborated with such renowned artists as the Tokyo Quartet, Vermeer Quartet, Borromeo Quartet, Mendelssohn Quartet, the Jacques Thibaud String Trio, Benita Valente, Richard Stoltzman, Pinchas Zukerman, Joseph Silverstein, Stefan Jackiw, Young Uck Kim, Arnold Steinhardt, David Finckel, Daniel Phillips, Nathaniel Rosen, Carter Brey, Allison Eldredge, Alisa Weilerstein, Christopheren Nomura, and Heiichiro Ohyama. Max Levinson garnered international accolades for his two recordings: his recording of Leon Kirchner’s “Five Pieces for Piano”, which was chosen for the composer’s complete works recording by Albany Records alongside recordings by Leon Fleisher and Peter Serkin, and his recent recording of the Brahms Sonatas for Violin and Piano with violinist Stefan Jackiw (Sony Classical). He has also recorded the Brahms Horn Trio with the Santa Fe Chamber Music Festival for the Stereophile label, and the violin sonatas of Debussy, Janácek, and Prokofiev with violinist Andrew Kohji Taylor for Warner Classics. Upcoming recording projects include the complete piano music of Bruce Sutherland. He has also taught master classes at the Royal Irish Academy of Music, Harvard, MIT, Brigham Young University, Rutgers, the University of Washington, UCLA, the Colburn School, Boston University, the Music Teacher’s Association of California annual convention and in various cities throughout the U.S. In 1997, he was named “Best Debut Artist” by The Boston Globe and was added to Steinway’s distinguished roster of artists. 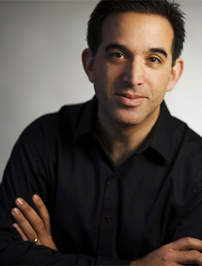 Max Levinson is Chair of the Piano Department at the Boston Conservatory, and is also a faculty member at the New England Conservatory. Enrico Elisi has established himself as one of the most passionate Italian pianists on the concert scene today and has been hailed for his mastery of elegance, refinement, and fantasy (La Nueva España). He regularly performs to acclaim throughout the Americas, Europe, and Asia and his interpretations reveal “remarkable sensitivity, imagination, and polish,” (Baltimore Sun). He has appeared in historical settings such as La Fenice Theatre, Venice; Palazzo Vecchio, Florence; Bibiena Theatre, Mantua; and Pavarotti Opera House, Modena. Recent engagements include the Banff Centre for the Arts, Weill Hall at Carnegie Hall, New York Public Library, New York’s Morgan Library, Washington’s National Gallery of Art and the Italian Embassy, as well as the Centro Cultural de España in Lima, Peru. He performed with several orchestras in the US, Italy, Portugal, and as a chamber musician, at the Taos and Ravinia Festivals. Elisi’s recitals have been broadcast on radio and TV programs in the US and Europe. Among his awards are top prizes in the Premio Venezia (Italy) and the Oporto International Competition (Portugal). A champion of new music, Elisi has commissioned works from many composers and premiered Paul Chihara’s Two Images, at Weill Hall (subsequently recorded for Albany Records). He recently released an album of Mozart Sonatas and shorter compositions. A new recording of Bach’s selected Partitas and Preludes is forthcoming. Elisi is an Associate Professor at the University of Toronto and was on the faculty of the Eastman School among other institutions. He conducted a myriad of master classes around the world and is sought-after at many music festivals and as an adjudicator. The rich tradition of his musical roots can be traced to the Conservatories of Bologna and Florence, the renown Imola International Academy, in Italy, and the Peabody Institute, in the US. His teachers included mentors such as Leon Fleisher, Lazar Berman, Alexander Lonquich, Boris Petrushansky, Franco Scala, and Giuseppe Fricelli. 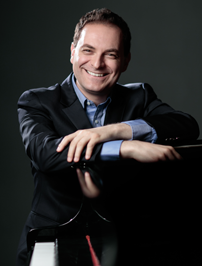 Enrico Elisi is a Steinway Artist.